With legislation action on climate change deadlocked by partisan divisions in Congress, the Obama Administration is pursuing a growing set of administrative and regulatory initiatives under existing authority. Many of these involve actions by the Environmental Protection Agency (EPA) applying Clean Air Act (CAA) authority, but some involve other EPA authority and/or other agencies. Effective March 4, 2014, EPA excludes qualifying injection of carbon dioxide (CO2) injection into underground wells for the purpose of “geologic sequestration” from regulation as hazardous waste disposal under the Resource Conservation and Recovery Act (RCRA). This conditional exemption requires specific management actions, some of which involve demonstration of compliance with other laws. Geologic sequestration is the injection of a material—in this case carbon dioxide—deep underground into formations believed capable of isolating it there for very long periods of time. This program is used by other programs; for example, EPA administers underground injection control (UIC) permit programs under the Safe Drinking Water Act (SDWA), which provide permitting for six categories of waste injection under conditions intended to prevent contamination of potential drinking water sources. Since January 2011 this program has provided for non-experimental wells for geologic sequestration of carbon dioxide (Class VI). Attempts to reduce CO2 accumulation in the air generally focus on reducing emissions, from power plants, motor vehicles, and other activities that use fossil fuels. An alternative approach is to capture and sequester CO2 from the air, either at combustion sites or from ambient air. EPA has proposed CAA rules that would require new coal—and gas—fired electricity power plants to limit net CO2 emissions, probably by carbon capture (I previously blogged about the latest proposal; it was issued in September 2013 and finally published in the Federal Register on January 8, 2014). One possible fate for captured carbon is sequestration. What Conditions Must Be Met to Qualify for Exclusion From Hazardous Waste Requirements? Any transportation complies with applicable Department of Transportation requirements (including pipeline requirements). Injection complies with UIC Class VI permit requirements. No other hazardous wastes are mixed with the CO2. The generator of the stream signs a required certification statement attesting to compliance with these requirements. EPA has adopted this exclusion to reassure potential users of sequestration that their activities will not trigger RCRA requirements, and to formalize a compilation of requirements that may be applied by other federal environmental health and safety laws and regulations. Is my organization planning to construct a new electricity generating unit, to be fueled by natural gas or coal? If so, is it designed to include carbon capture or some other method to meet EPA’s proposed CO2 emission limits? Does my organization operate an existing electricity generating unit, to be fueled by natural gas or coal? If so, have CO2 emissions been calculated? Has my organization considered retrofit of this unit to include carbon capture or some other method to meet stricter CO2 emission limits that EPA may propose? If my organization captures CO2, does it provide for eventual sequestration somehow? Comply with applicable DOT requirements for transport? Obtain and comply with a Class VI UIC permit? 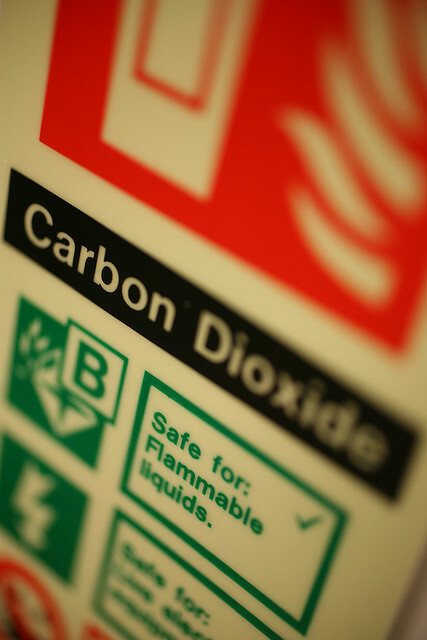 Ensure that no hazardous wastes are mixed with the CO2? RCRA rule providing exclusion for qualifying geologic sequestration (as published in Federal Register).